Pink Starburst Hybrid: Pink Starburst by Manali West is an ultra potent hybrid that smells like it sounds. This deep cross of (DJ Short’s Blueberry x Headband) x AJ Sour Diesel BX3 is a genetic layer cake of potency crossed for potency. The flavor is distinctly floral on the inhale, but reveals its candy-like sweetness on the exhale. 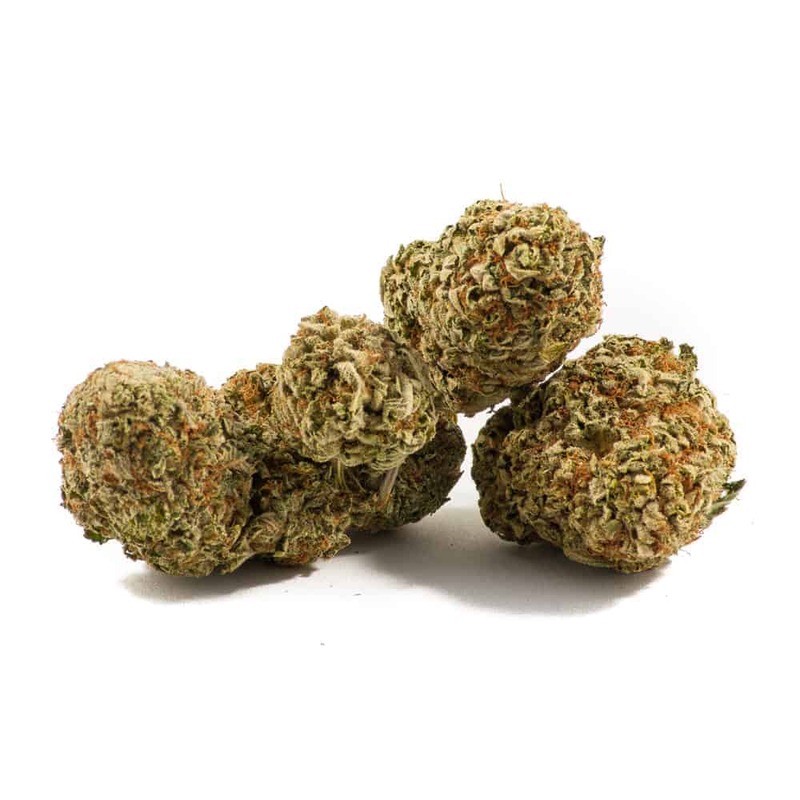 Pink Starburst’s buzz combines tranquil, positivity-driven euphoria while remaining cognitively clear. 3 reviews for "Pink Starburst – Hybrid"
7 / 10 – Nice solid buds covered in good layer of crystals. Buzz & flavor were alright.